and laser plasma cartridge modules anywhere. Laser Innovations began servicing nitrogen lasers in 2005, as the technology and procedures involved were a direct and natural progression of the ion laser services we had already perfected and provided since 1989. In 2010, Spectra Physics requested several of our remanufactured cartridges for evaluation. Internal testing concluded the performance of Laser Innovations' nitrogen cartridges were indistinguishable from their lasers manufactured in-house. 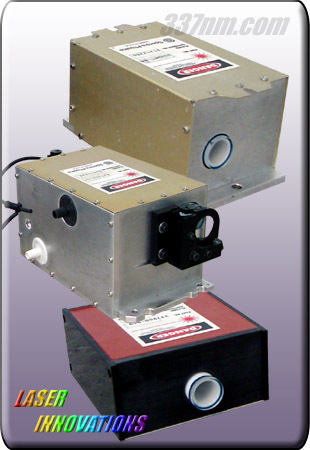 In 2011, Spectra Physics ceased production and formally transferred the product line and the OEM customer base to us. We acquired the complete inventory--laser heads, optics, new power supplies and other components, in addition to factory test fixtures, diagnostic instruments and manufacturing documents. We do not out source our laser plasma cartridge module repairs. Everything is done in-house by our highly trained and experienced technicians. We are equipped to keep your nitrogen laser and your application running indefinitely. For price quotes please call, fax or EMAIL us. 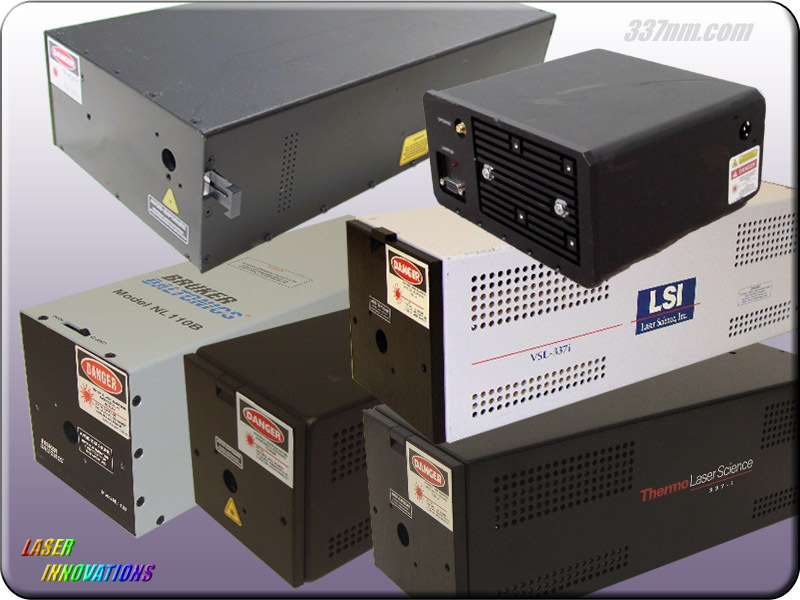 Laser Innovations - Supporting the laser community for 25+ years. Copyright © 2008-2016 Laser Innovations. All rights reserved. The information on this page is from the Laser Innovations website (www.337nm.com) and is intended for the personal use of the customer only and may not be sold or transmitted to another party. We assume no responsibility for errors or omissions. website, of actual Coherent Laser brand laser systems, are registered trademarks of Coherent, Inc.
Spectra-Physics Laser brand laser systems, are registered trademarks of Newport Corporation. of this website, of actual laser systems, are registered trademarks of their respective owners.